A ‘male-free’ music festival has been found guilty of discrimination, after it claimed it would ban men from entering the grounds. 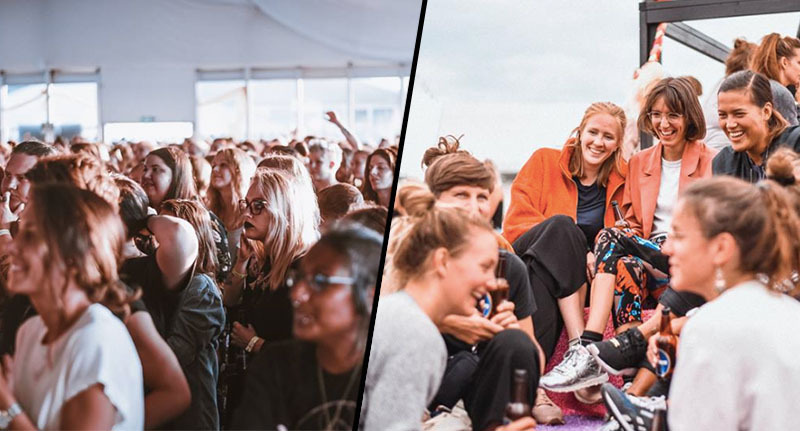 Statement Festival, in Sweden, was held in Gothenburg in August this year and described itself as ‘the world’s first major music festival for women, non-binary and transgender only’. But now it has emerged that the festival has violated anti-discrimination legislation and as such, has been found guilty of discrimination. At music festivals everyone should feel safe. This sounds obvious, right? But year after year, the abuse at music festivals has shown the opposite. At Statement Festival safety is a given and we are now organizing a music festival completely free from cis men, in both the audience and on the line up. Although this seemed like a step forward for women who may not feel safe in a festival environment, Sweden’s Discrimination Ombudsman (DO) has ruled that describing the festival as ‘male-free’ was a violation of anti-discrimination legislation. As reported by Metro, men were in the end allowed to buy tickets to the event. However, many – including technicians and artists’ entourages – were restricted to a ‘man pen’ in a backstage area. The ombudsman has recognised that nobody suffered any damage as a result of the music festival, saying their investigation had clarified that. The festival was started by Emma Knyckare, a Swedish comedian who wanted to take a stand after hearing about several sexual assaults which were reported at Sweden’s biggest music festival Bravalla in June last year. After it emerged there were allegedly four rapes and 23 sexual assaults that took place at Bravalla, Knyckare decided something needed to change and started a project group, which allowed Statement to happen. But now Metro reports that the festival has been cancelled for next year, with the DO stating there has been an ‘infringement of the prohibition of discrimination’ related to gender. Organisers of the festival have since responded to the DO’s decision, saying they were too ‘busy changing the world’ to issue an official statement. The success of the statement festival shows that we are needed and the decision does not change that fact. Otherwise, we have no comments – we are busy changing the world. You can’t get a much better response than that, can you? Discrimination to describe the festival as "male-free"